Are you coParenting a child with signs of insecure attachment? Learn the different attachment styles and what you and your coParent can do. 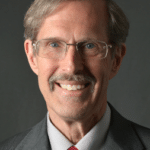 Bill Eddy is a lawyer, therapist, mediator and the President of High Conflict Institute. When a young child is not experiencing secure attachment, it is important to learn about the phenomenon. The balance of “attachment behavior” and “exploring behavior” is missing in those interactions where a child did not have a secure attachment. Let’s study the different styles of insecure attachment, learn more about them and later, learn how to heal them. Dismissive Attachment Style (also known as Avoidant); Preoccupied Attachment Style (also known as Ambivalent) and Fearful Attachment Style (also known as Disorganized). When the parent is gone, this child looks independent and confident, but really is not – their heart rate and cortisol level are just as high as the first child. However, when the mother returns, the child keeps playing with the toys. He or she does not seek reassurance and appears not to expect this parent to be able to provide it. Their heart rate and cortisol level remain high. When the parent reaches out, the child is dismissive of the parent. When the parent is gone, this child goes into a panic. Sometimes they have to quickly bring back the parent because children with this attachment style are so extremely distressed in the absence of the parent. When the parent returns, the child runs to the parent and clings and won’t let go. Often the child is unable to be soothed and just cries and cries, clings and clings. Nothing the parent does seems to calm the child down. Their heart rate and cortisol level remain high. When the parent tries to put them down, the child resists and insists on continuing to be held. These children are not sure what to do. While the Dismissive and Preoccupied style children have a consistent strategy (avoiding or clinging), these children have an inconsistent mix of seeking and fearing their parent. When the parent returns to the room, these children have been observed to approach and then back off. Some burst into tears in the middle of the room, just sitting down, lying down or curling up with themselves. Their parent seems to be both the source of reassurance and the source of fear – both at the same time. These parents often have a history of depression, drug use, anger problems, or other causes for inconsistent behavior. These children don’t know what to expect any more – yet they desperately need reassurance. Researchers have seen children do well who didn’t have a secure attachment relationship until they were 2 or 4 or even older. If children grow up with one of these insecure attachment styles, they will lack the secure foundation to fully develop the skills described above. They may not learn that problems can be solved, that emotions can be managed and that moderate behaviors can succeed. The good news is that they can still develop a secure attachment relationship even after 12 months old. Researchers have seen children do well who didn’t have a secure attachment relationship until they were 2 or 4 or even older. Sometimes the secure attachment figure is a grandparent, adoptive parent or a counselor. Sometimes it’s a therapist or a spouse in adult life. Once they develop that secure attachment relationship, they can learn how to better manage themselves, their thinking, their emotions, and their behavior. But the older they are when they first experience a secure attachment relationship, the harder it gets to learn these skills and gain a sense of confidence in close relationships. Unfortunately, these insecure styles can become rigid patterns of relationship behavior for some that extend into adulthood and remain stuck throughout the person’s life. Unless they sincerely work on trying to change a dysfunctional relationship style, they will bring it into all of their romantic relationships and other close relationships – usually without even realizing it. Excerpt from Don’t Alienate the Kids! Raising Resilient Children While Avoiding High-Conflict Divorce. By Bill Eddy, LCSW, Esq. Published by HCI Press. Bill Eddy is a lawyer, therapist, mediator and the President of High Conflict Institute. He developed the "High Conflict Personality" theory (HCP Theory) and has become an international expert on managing disputes involving high conflict personalities and personality disorders. He provides training on this subject to lawyers, judges, mediators, managers, human resource professionals, businesspersons, healthcare administrators, college administrators, homeowners’ association managers, ombudspersons, law enforcement, therapists and others. He has been a speaker and trainer in over 25 states, several provinces in Canada, Australia, France and Sweden.